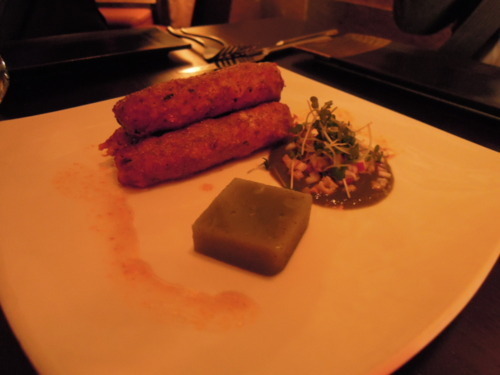 Chic and glamorous, Mint Leaf Lounge and Restaurant is a “progressive” Indian Restaurant in Bank which combines traditional cooking techniques with fresh, seasonal local produce. (1) The 5 of us ordered some Lamb Sheekh Kebab, red onion and olive salad with cucumber jelly to share. The Lamb Sheekh Kebab was meaty and delicious, and the cucumber jelly had a glutinous, chewy texture and an exotic taste. (2) This beautiful, gold foil-adorned dish is the Mushroom and Goat’s Cheese Parcel. The mushroom and goat’s cheese parcel was cooked in a delicious tomato sauce and was appealingly soft. 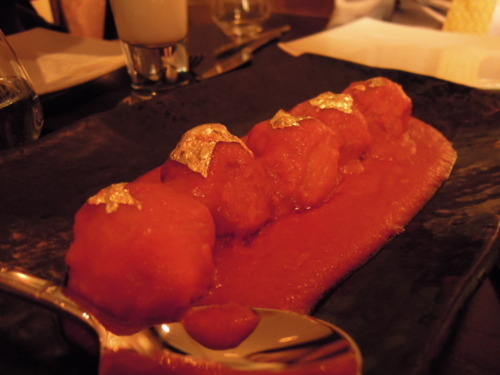 I loved the cheesy taste and the thin sheets of edible gold! 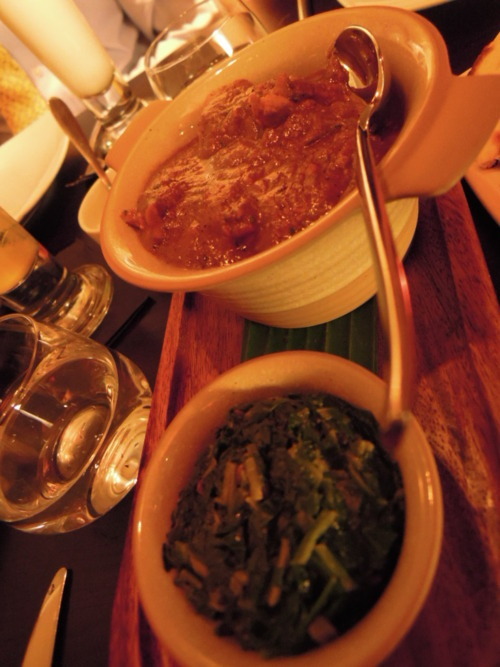 (3) My favourite curry at Mint Leaf was the Chicken Chettinad, Spinach Poriyal, which was simple, excellent and (according to my amateur taste) authentic – what else could you have asked for? (4) Lastly, Mint Leaf boasts a mouthwatering Naan section on its menu. My top choice was definitely the Garlic Naan. 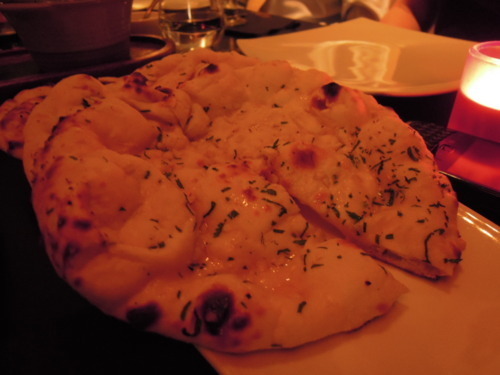 I love garlic naan for its distinctive taste and amazing texture, and I can never seem to have enough of it! I’m very happy to read your article on Mint Leaf. Thanks a lot and I’m looking forward to contact you. Will you kindly drop me an email?